The trust which runs Peterborough City, Hinchingbrooke and Stamford & Rutland hospitals has forged a link with the armed forces to help provide employment for ex-service personnel and their partners. North West Anglia NHS Foundation Trust director of workforce Louise Tibbert has signed the trust up to the Step Into Health programme which supports people leaving the armed forces, veterans and their partners to access the numerous career opportunities available in the NHS. 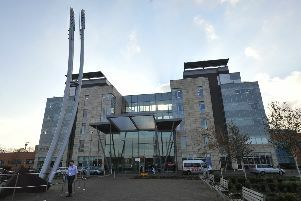 Until 2014 Peterborough City Hospital was home to a Ministry of Defence Hospital Unit which was the base for many military medical staff.